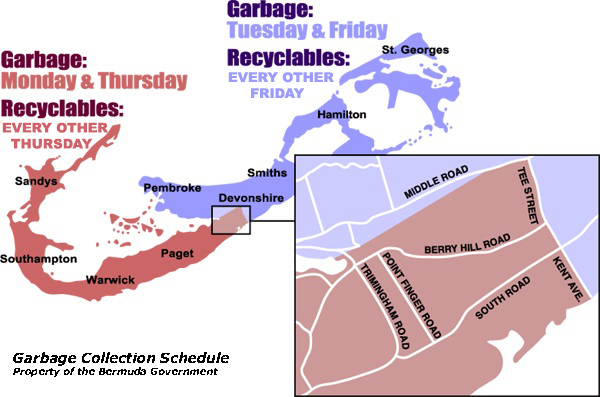 Click here for the 2015 Garbage and Recycling Schedule. The Waste Management Section is responsible for the safe disposal of all household and commercial waste and recycling in Bermuda. 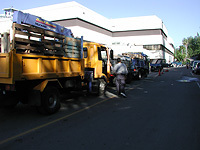 Waste Management collects garbage and recyclables from residents (excluding the cities of Hamilton and St. George's). 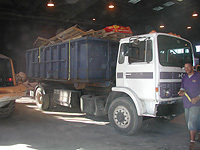 Garbage is taken to the Tynes Bay Waste To Energy Facility and recyclables are taken to the Material Recovery Facility (MRF) for processing and either shipping abroad or use on island. The Waste Management Section is also responsible for the operation of the Airport facility where bulky metal waste is used for land-fill. There is also a free bulky waste collection service for residents who have large household items to dispose of that is by appointment only. The Section also has responsibility for the processing of special waste, both household amounts and commercially generated waste. The special waste is shipped off the island for reprocessing and/or disposal. Composting the island’s horticulture waste, some food waste and animal carcasses is also the responsibility of the Waste Management Section and this is done at the Marsh Folly Composting Facility. The Section is also responsible for the public awareness of waste management issues and enforcement of the newly revised Waste and Litter Control Amendment Act 2011.